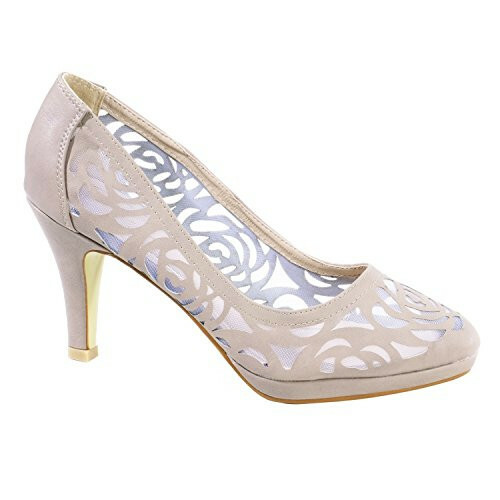 Everything's coming up roses with the Neesta pump - rose patterns, that is. This sturdy 3.5-inch pump heel with its rounded toe and lightly padded insole makes for the perfect on-your-feet shoe, while its mesh sides with rose-like swirls add that evocative, eye-catching touch. Pair the khaki with a pantsuit or skirt set for a wicked combination of no-nonsense pizzazz, then switch into something sultry and put on the black for that long-awaited night on the town. Available in sizes 5 to 11.